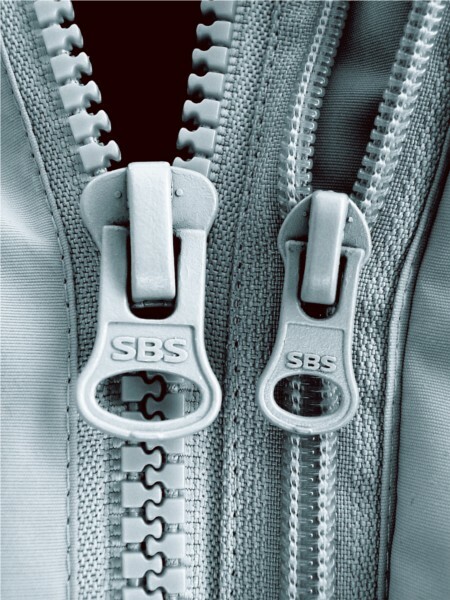 A zipper is a popular device for temporarily joining two edges of fabric. The bulk of a zipper consists of two strips of fabric tape, each affixed to one of the two pieces to be joined, carrying tens or hundreds of specially shaped teeth. The slider, operated by hand, moves along the rows of teeth to make it join or separate. It is used in clothing, luggage and other bags, sporting goods, camping gear, and other daily use items.